These glazed turnips and apples are easy, healthy, and on the table in minutes. Made with butter and cider vinegar and thyme. It doesn’t get simpler–or better. 1. Cut the apples and turnips into wedges about 1/2 inch (1 cm) wide. 2. Melt the butter in a large skillet over medium heat. Add the turnips and thyme and cook, stirring occasionally, until golden but not yet tender, 5 to 10 minutes. Reduce the heat to medium-low, add the apples, salt and pepper to taste, and vinegar, and gently stir the apples and turnips to coat them. 3. Continue to cook, uncovered and stirring occasionally, until the apples and turnips are on the soft side of crisp tender, about 5 minutes. Season again with salt and pepper, if desired, and serve immediately. Glazed Turnips and Apples Recipe © 2016 Trina Hahnemann. Photo © 2016 Columbus Leth. All rights reserved. All recipes and photos used with permission of the publisher. 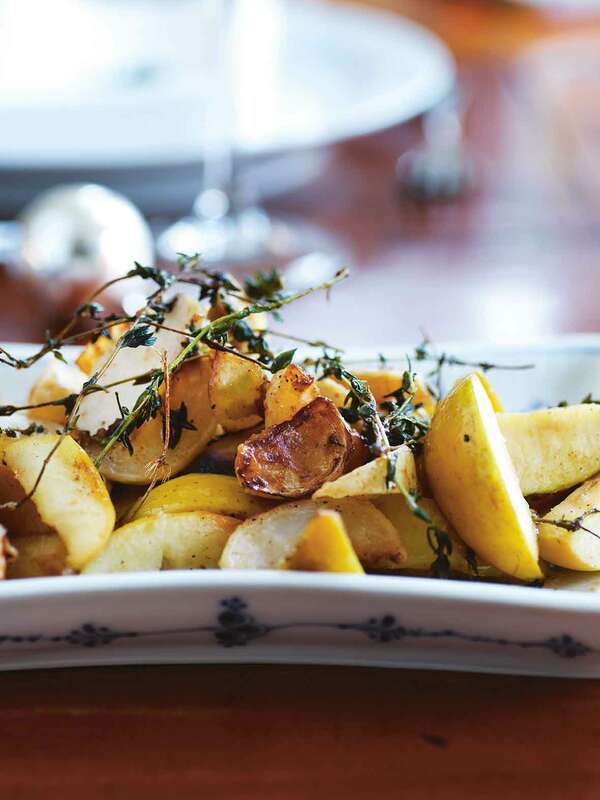 This glazed turnips and apples recipe is a perfectly delicious side dish for fall. The bite of the turnips pairs nicely with the sweetness of the apples and the vinegar adds a touch of acidity that rounds everything out. This dish would be a great addition to a holiday meal—it’s delicious, easy, quick, and doesn’t take up valuable oven space. I used 2 Jonagolds and 1 Pinova apple and 1 gargantuan turnip. I added 2 1/2 tablespoons vinegar. After adding the apples and cooking for 5 minutes, the turnips and apples were crisp-tender, which was perfect for me. So I freaking LOVE fall and everything about it, but the warm aromas of soulful comfort food on a crisp evening is easily the best thing about it. 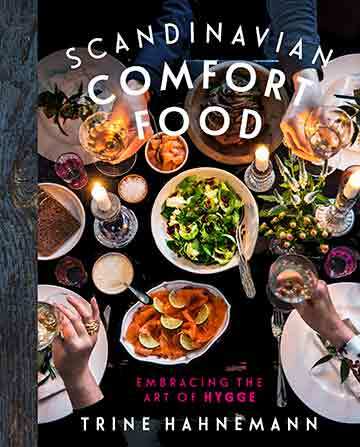 Cozying up together in a warm kitchen over supper is enough to bring joy to even the most mundane of weekdays. One of the best ways to bring color and aroma to an autumn plate is to take advantage of the season's best produce that lends itself beautifully to slow roasting and fragrant spices. This glazed turnips and apples recipe was no exception—these turnips were a nice, neutral canvas for the butter and thyme and the apples added a lovely sweetness that made the dish almost decadent. (I have a thing for baked apples in all forms, from pie to sauce.) Best part is that it's really not super labor intensive—just slice some things and toss them in a pan for a quick sauté without a ton of attention needed. I'd also wager that you could roast the apples and turnips in the oven, too, if you wanted the recipe to be completely hands off. I used Gala apples. I sliced my turnips relatively thin since they are absolutely terrible when undercooked. The apples didn't get too soft or mushy.